Nanu House, V V Road, Margao, Goa 403601, India. 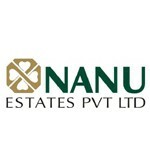 Nanu Estates Pvt Ltd formerly known as Sapana Real Estate, NEPL in involved in the construction of residential and commercial properties in all the major towns of Goa.with over 60 projects already commissioned,and with scores of ongoing projects, NEPL is among the leading real estate developers in the state, with design quality as the key strength. The company has earned an enviable reputation as a reliabledeveloper, famous for delivering the constructed property to pre-determined specifications and on time as promised.